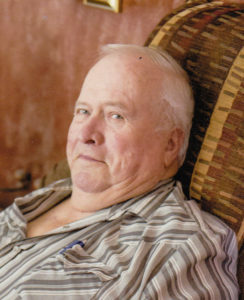 Tuesday, April 16, 2019 ~ 10:00 a.m.
Rudy R. Sloup, 84, of Wahoo, NE entered into eternal rest peacefully at his home on Saturday, April 13th, 2019. He was born March 1, 1934 in rural Prague, NE to Rudolph and Agnes (Chromy) Sloup. Rudy attended District 51 country school and graduated from Prague High School in 1952. On June 11, 1955, Rudy was united in marriage to Helen Marie Stuchilk at St. John Nepomucene Catholic Church in Weston, NE. In his early years, Rudy worked for the Ordinance Plant in Mead. For over 40 years, he worked for Wahoo Oil until his retirement. After his retirement, he worked for Sid Dillon. He is survived by his sons, Rudy (Betty) Sloup of Fort Gratiot, MI, Bob (Nancy) Sloup of Wahoo, Joe (Teri) Sloup of Lincoln, Tom (fiancé, Laurie Loseke) Sloup of Columbus, Dan (Ginger) Sloup of Wahoo, and Bil Sloup of Wahoo; 21 grandchildren and 15 great-grandchildren; sisters, Agnes (Don) Kasper of Omaha, and Karen (Neal) Barry of Weston; brother, Harvey (Loretta) Sloup of Omaha; brother-in-law, Larry (Betty) Stuchlik of Lincoln; sister-in-law, Lorene Stuchlik of Weston; many other family members and friends. Rudy was reunited with his bride of 63 years, Helen Marie Sloup, 36 hours after her death. He was preceded in death by his parents, Rudolph and Agnes Sloup; great-grandson, Gavin Murphy. It hard to believe that they are both gone. They were my god-parents. They will be greatly missed by everyone. Rest In Peace Aunt Helen & Uncle Rudy. I’m so sorry for the loss of both Rudy and Helen. The one blessing is that they went so close together, just as they lived their life together. Rudy was such a pleasure to work with at Sid Dillon and always had a good story for me and great advice. I still miss working with him to this day! Sending your family lots of love and prayers. I work with Rudy’s granddaughter, Shay, in San Francisco and she had only the best things to say about her grandparents. My deepest sympathies to you and your family. Joe and Teri, I am so sorry for your loss. May God grant you comfort. I an so sorry to hear about the lost of Rudy and Helen. My thoughts and prayers are are with the family. It was always great to see them.